Classic Photography – Is it still relevant? Classic Photography – Is it still relevant?, a photo by Roberto_Aloi on Flickr. Definition of Classic – a. Belonging to the highest rank or class. b. Serving as the established model or standard. 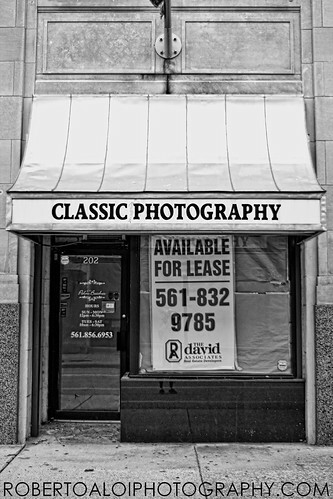 I enjoyed the irony in this image while walking downtown looking for street photography material. Only in South Florida…, a photo by Roberto_Aloi on Flickr. What do you get when you cross a Harley motorcyle with a jet-ski? Why this of course! I wasn’t sure what to expect while walking around downtown West Palm Beach. 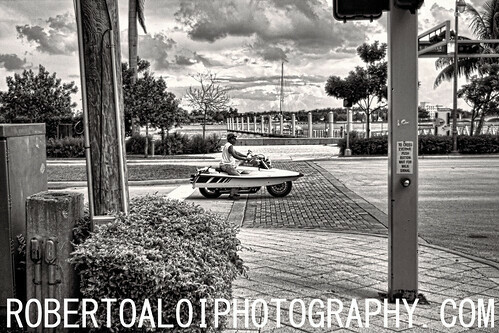 Let me start over… I DIDN’T EXPECT TO SEE A JETSKI CONVERTED INTO A MOTORCYCLE. I don’t know what was more puzzling. This frankensteined vehicle or the weird look the drive gave me. You know, because this is such a usual sight! ?